We are currently running a 72 hour competition on our sister site Head for Points giving away a £100 Amazon gift voucher. We thought Shopper Points readers might like a chance to win the voucher too! One lucky reader will win a £100 Amazon gift voucher which can be used across the UK site. The competition is to promote Amazon’s new Amazon Business service. Head for Points and Shopper Points have a lot of readers from the small business community – after all, when you own the company every pound you save is an extra pound in your pocket – and this new service should be of interest to them. That said …. you don’t need to have your own company to enter. Amazon Business – register here – wants to change the way companies buy supplies. For most small businesses, buying supplies can be time-consuming and frustrating. Finding the best product at the best price with the most convenient payment terms can be a challenge, especially when they have other tasks that need to be completed. 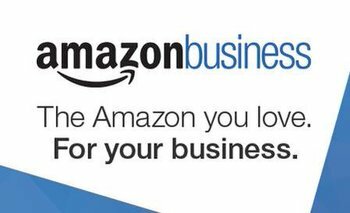 Amazon Business is the solution and brings big benefits to businesses of all sizes and industries. Using the Amazon Business site, multiple sellers compete for your purchases on common items on the most favorable terms for customers. It’s like a “reverse auction” where customers save time, money and hassle in the process. Helpful purchasing tools: Amazon Business gives users access to helpful purchasing controls that can ensure that only authorised purchases are made, together with tools to integrate with their existing purchasing system and provide detailed purchasing analytics. 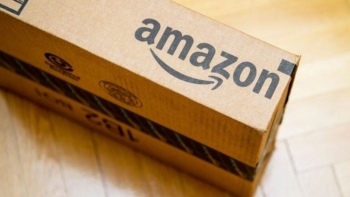 Free accounts: Unlike warehouse clubs or subscription-based online retailers, Amazon Business accounts are free, even for companies with multiple authorised purchasers. Once registered, those with accounts are able to search hundreds of millions of products in the Amazon Business inventory, where multiple sellers can compete for their purchase. You can register your company for a FREE Amazon Business account here. There is one prize of a £100 Amazon gift voucher to be won. The voucher is valid for 10 years and is valid for any purchase on the UK Amazon website. Your details remain confidential and will not be passed to Amazon Business. Head for Points / Shopper Points will not use your email address for any other purpose.